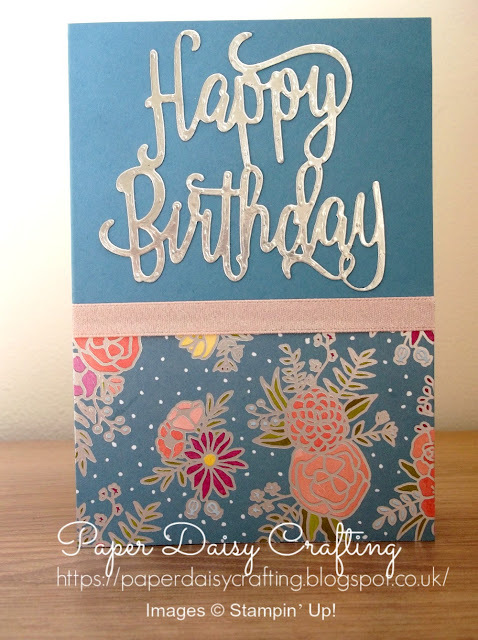 Paper Daisy Crafting: More Sweet Soiree papers from Stampin' Up! More Sweet Soiree papers from Stampin' Up! Here today with another card made during my crafting session a few days ago, using the Sweet Soiree patterned papers. 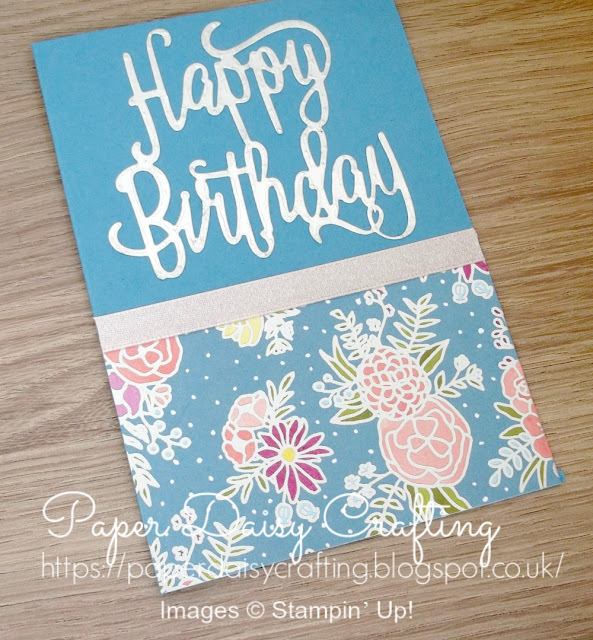 Again a very simple layout, in which that gorgeous patterned paper does all the hard work. All I've done is added a strip of Powder Pink shimmer ribbon and the "Happy Birthday" cut from our silver foil card. I have a couple more to show you so come back soon to see those!